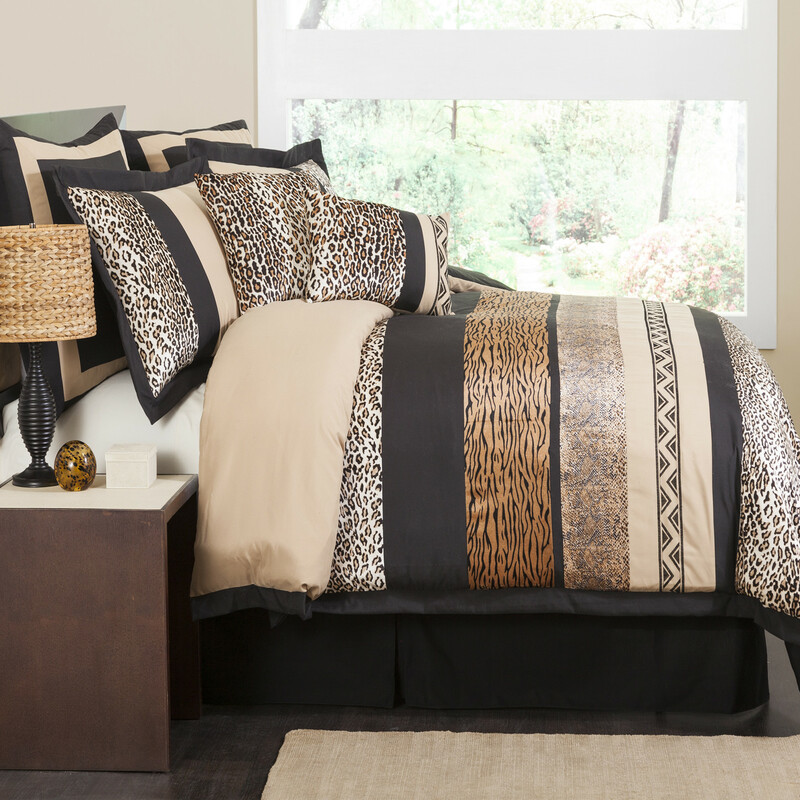 Give your room a touch of the wild with this striking Lush Decor Tribal Dance 8 Piece Comforter Set. It includes a blend of the beautiful elements and colors of popular and fashionable animal skins. This comforter set can be the ideal choice for all decor settings. This Lush Decor Tribal Dance 8 Piece Comforter Set includes a comforter, a bed skirt, two euro shams, two pillow shams and two decorative pillows. Its natural brown shade adds to its appeal. This incredibly soft comforter is constructed from brushed poly. The fabric is made from 100% polyester material that makes it very good in quality and durable. The wonderful embroidery details add to its elegant appeal. It can be maintained through dry cleaning and the pillows can be hand washed. The impressive comforter set is available in different sizes to let you choose the one that can best match your tasteful decor settings and your bed size. Its design can easily complement your master bedroom, your kids room or your guest room. This comforter offers the best in quality, comfort and design for many years to come. It can be a wonderful and highly useful choice for all kinds of elegant interiors.